"TensorFlow Worth the Learning Curve"
I like how easy TensorFlow makes building ML models without sacrificing low-level implementation capabilities. It includes a wide variety of prebuilt models and model subblocks that can be plugged together using simple python scripts. Tensorflow handles the implementation details seamlessly allows you to abstract away the underlying hardware, be they GPU's, CPU's or TPU's. We don't have to think about what kind of convolution algorithm we're using unless we absolutely want to. The data ingestion pipeline makes handling hundreds of GB of data a simple task. No more loading everything into RAM or worrying about file access and formatting. It does come with a price and it isn't as intuitive as it could be but it is well worth learning if you are serious about applied machine learning or just experimenting. I dislike the define-and-run model of TensowFlow. It is unintuitive and occasionally lends itself to clunky solutions. It differs from the define-by-run model of the other major ML frameworks which is a barrier to access for many. I also dislike the structure of variables as tensors. It is often unclear whether your variables need to be tensors or plain python types. Once you get the hang of using TensorFlow it becomes obvious but something as simple as variable definitions shouldn't be so opaque. It is worth the learning curve. Google has a fantastic introductory series on both Machine Learning and TensorFlw specifically that I highly recommend. We are building models using Tensorflow that can learn from our datasets to accurately classify samples. Previously, building these models required highly domain specific knowledge were built in an ad hoc way for each class of data. Tensorflow allows us to build one model that can be far more easily adapted and changed. "Great tool, worth the steep learning curve"
With TensorFlow you can do pretty much anything you want in the broad area of machine learning. But the amazing thing about it is that you can also use this software to deal with math problems outside of machine learning. The use of computation graphs along with TensorBoard makes model visualization very intuitive. The learning curve can be quite steep if, like me, you start with no knowledge of TensorFlow's computational model philosophy. Once you get the hang of things, it can be quite rewarding. Also, as the software is updated quite frequently, it seems the documentation is not as accurate as it could be, leading to quite a few headaches. Be VERY patient. It may look a bit overwhelming, but it is an amazing tool to master and a great philosophy of computation to understand and follow. I am working with time series forecasting models, and TensorFlow allows for pretty fast prototyping while allowing a huge degree of freedom in terms of model features that you can incorporate. "Deep learning made easy with TensorFlow"
The ease of building deep learning models and the high level API's. One can build all kind of architectures pertaining to deep learning. One can use it to build models to solve computer vision problems, perform speech analytics, text analytics, seq2seq models. It supports major algorithms such as ConvNets, RNN, LSTMs, Seq2Seq, It also includes some of the pretrained models which can be customized and trained with new datasets. It can also scale to use multi -gpu systems out of the box without much configuration. Some of the benchmark results show it doesn't train fast, I hope the team is working on making it faster. Also it doesn't include other ML models for comparison. We are trying to use multi-layer neural network in customer analytics space. We use various models and TensorFlow is easy to implement using high level api. Personally, I have used it in building forecasting models, sentiment analysis, text analytics, language translation, general adversarial networks. The implementation for all the models were very easy and it provided great benefits in terms of using multi-gpu systems efficiently. "Amazing library if you are expert in machine learning,"
"A very great tool for engineers to work on Deep Learning." There is a very great ecosystem around TensorFlow, such as TensorBoard for visualizing computation graph, TensorFlow Serving for manage model in production, TFSlim for simplification of building neural network, and so on. TensorFlow is also evolving very fast and it is nearly going to get 1.0 release. It is a little hard for new comer to learn. The API is not that friendly for non-research background people. People who want to use TensorFlow should have enough machine learning background, especially deep learning. To use it in a GPU cluster is not that easy. Learning to use its API also cost a lot of time. But to my extent, TensorFlow is really the best in engineering support among all the deep learning framework. Moreover, people could use Keras on TensorFlow to build network more easily. We use it to solve computer vision problem as a proof of concept. It worked fine. "The machine learning swiss army knife"
The ability to easily write code that scales up to multiple CPUs/GPUs. Since version 1.0, there are higher level modules that provide Keras-like functionalities (e.g. layers, metrics). Moreover, it is definitely production ready. The best thing, though, is the Tensorboard tool that can be used to debug the implemented algorithms. Setting up GPU support on Windows can be tricky, depending on how convoluted the environment is. While Tensorboard is a great tool, sometimes its pages get "stuck" and force to reload the tensorboard server again. The learning curve might be steeper than Keras, which hides most of the complexity away. I'd strongly suggest using Keras for prototyping before jumping straight into TensorFlow. Getting started with keras is much simpler and paves the way to implementing the final product with TensorFlow. 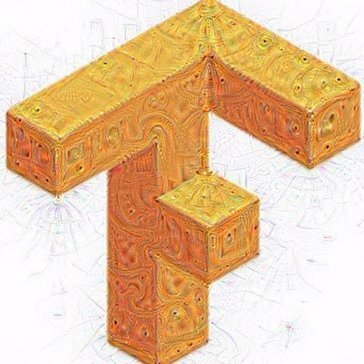 TensorFlow it's a nice, low/mid level API to build production-level software that deals with machine learning. It's stable, so building products at scale for production use is not a problem. This is being used as the back-end to train voice recognition models. "Write Neural Networks in under 50 lines"
- Tensorflow is one of the best frameworks to do deep learning, machine learning for huge datasets. I created a neural network on CDC sources datasets to run predictions. Once I worked on many diseases and created individual model, I developed a predictive model platform to run several neural networks at once for multiple diseases. Tensorflow is an extremely powerful library whose users can use it for classification, regression, or any number of complex neural network models, such as GANs and CNNs. It can also be used as a backend to Keras or other higher level libraries. The API leaves something to be desired, as it can get quite complex and messy as you write more code. It is pertinent that organization of the code is better handled. As well, for very large applications, it may be slower than competing libraries such as Torch. Learn deep learning first as the API is extremely specific to those in the field of AI. We use it to create classification and regression pipelines for our clients, such as with agricultural yield prediction. "A powerful deep learning library, with certain rough edges"
Automatic differentiation and support for backpropagation through many useful mathematical operations. Tensorboard interface for monitoring and visualisation. The programming model is somewhat cumbersome, and reliant on global state behind the scenes. For any task there seems to be multiple incompatible ways of achieving it, with varying degrees of documentation. The API is a mess, with many different high level interfaces. There is no standardised workflow, which makes mixing and matching models from different sources very difficult. Carefully consider the alternatives, such as PyTorch which can be easier for development by specifically targeting Python and the Pythonic way of programming (although potentially at the expense of flexibility). Training deep learning models for video analysis. After the initial hurdles, it does the job. "My experience with Tensorflow as a grad student"
Heavy machine learning models can be built on top of the optimized deep learning models integrated by Tensorflow. Compatibility with other frameworks makes it possible to optimize on the production level. The models can be a little heavier to deploy in mobile applications when the question is of limited space. Thus the execution is also slow. If Google can divide them into several modules making space changes depending on the device. In our organization, we used variations of the TensorFlow Inception model mainly for image classification and image categorization of randomized data to compare performance with other libraries in order to publish our research. "A short path into artificial intelligence "
Though very thorough TensorFlow documentation can feel very overwhelming. 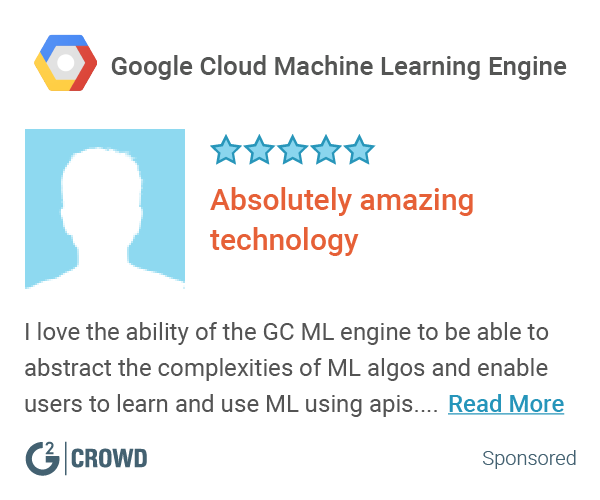 "fast, reliable, and amazing machine learning library"
"Easy implementation of neural networks"
"Really good for AI/ML based use cases"
We have been using internally and evaluating how to use it. "Simple way to build complex models"
I like how easy tensor flow makes it to build a simple neural network. You can have a model up and running in minutes, but tensorflow still provides advanced users with the ability to customize models a lot. I wish that the documentation for tensorflow was more detailed. Sometimes I have a hard time finding answers to some questions that I have about tensorflow. I am trying to make more accurate predictive models in the credit industry. Tensorflow has helped to improve the accuracy of existing models built using other software by a few percent. "very intuitive and powerful platform." Offers great platform to develop in the AI domain to deliver business value efficiently. None at this time, as we are still in POC. AI proof of concept in the legal and compliance space to help formulate AI strategy. "Best deep learning open source library out there"
The learning curve is a bit steep.The tutorials on the website can be more explicitly explained. "Great library for performing deep learning"
Great documentation written by Google's Tensorflow Team, and a lot of community engagement. Most answers regarding Tensorflow have answers available from the community. Library interface is a bit lower-level compared to other Python interfaces like Keras, but developer experience has been improving. Performing supervised learning on business problems requiring predictions. We have realized cost savings using the results of our predictions.
" best one out there"
the Tensor flow API is the best and the model created on the desktop can be used any where. And the availability of pre trained models is anothe rbest part. Little hard for the non coding person to train and create models. Should develop a UI for deploying new models and training them. The easy environment to adapt. RNNs are still a bit lacking, compared to Theano. "applicability of tensor flow for research purposes"
"TensorFlow with Keras over Spark is a great solution"
1: Example that the tutorial use. I use TensorFlow for analyze data. * We monitor all TensorFlow reviews to prevent fraudulent reviews and keep review quality high. We do not post reviews by company employees or direct competitors. Validated reviews require the user to submit a screenshot of the product containing their user ID, in order to verify a user is an actual user of the product. Hi there! Are you looking to implement a solution like TensorFlow?